Abraham Lincoln is often credited for this quote but did you know that he was himself quoting someone else? President Lincoln, in referring to the United States before the civil war, quoted Jesus Christ (Mark 3:25) to prove a point that the Union could not exist as half slave and half free. "A house divided against itself cannot stand. I believe this government cannot endure, permanently, half slave and half free. I do not expect the Union to be dissolved — I do not expect the house to fall — but I do expect it will cease to be divided. It will become all one thing or all the other. Either the opponents of slavery will arrest the further spread of it, and place it where the public mind shall rest in the belief that it is in the course of ultimate extinction; or its advocates will push it forward, till it shall become alike lawful in all the States, old as well as new — North as well as South." Mr. Lincoln gave this address as part of a campaign speech for the U.S. Senate in 1858. In today's eyes we can look back on slavery and see what a horrible injustice the entire institution was and how much harm it did to every victim as well as the nation as a whole. During 1858, however, the country was torn apart on the issue. Entire Christian denominations split over the issue with some preachers heralding the scriptures that seemingly speak to allowing slavery while others pointed to scriptures that shined a light on the horrific practice of owning another human being. The issue divided families, friendships, churches, and eventually the entire United States of America. War became the only solution that many saw that would allow them to cling to their own deeply held, traditionally rooted, and "scripturally based" positions on slavery. On April 12, 1861 at Fort Sumter in South Carolina, shots rang out beginning the Civil War and bringing about the deadliest war in US History. It is estimated that 750,000 soldiers were killed during the civil war. Today, over 150 years later, we find ourselves involved in another war; a culture war. Today the issue of equality in the Church and society as a whole for Gay, Lesbian, Bi-sexual, and Transgendered people divides families, friendships, churches, and yes, the entire United States of America. We watch in the news as Christian denominations split over the issue. Good Christian leaders, trusted men and women in the Body of Christ, take positions that are deeply held, rooted in their traditions, and based in scripture. Christian brothers are fighting Christian brothers, valiantly displaying their pride and ego instead of reason and prayer. Increasingly the image of the Church is becoming one of hate and intolerance instead of love and grace. We may never know how many young men and women we have lost during this war. Everyday the casualties mount as another child of God is wounded and falls victim to hopelessness, depression, addiction, spiritual despair, and too often, even physical death. Whether intentional or not, the message the majority of young GLBT Americans hear from the Church is one of ridicule and despair; of infighting and condemnation. The divided Body of Christ is so involved in fighting the culture war, so focused on making sure that their side is winning, that they are forgetting to actually love their neighbor. I say this not to point a finger at anyone, but out of my own conviction. There have been too many times that I have chosen to fight, to take up my sword, and use my words against another believer instead of reaching out in love. It is time that we as Christians throw off the messages of division and focus on our common ground. We have within our grasp the greatest tool the world has ever known. It is the Good News that we were once taught in Sunday School. It is the Grace that Saves Any Whosoever that Believes. It is the Unconditional Love, the Agape Love, of our Heavenly Father! What we all as Christians have in common at the end of the day, no matter where you fall on the issue of equality for GLBT people, is that we are ALL Prodigal Sons and Daughter being welcomed back home by our Loving Father who sees us from afar. 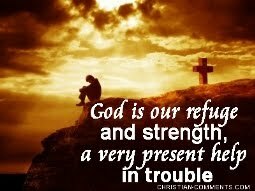 He runs to us and places His finest robes on our shoulders and rings on our fingers. He prepares a feast for us all at His table and says, "Come and Dine!" This is our common ground! The answer to ending the insanity that is this tragic and deadly culture war is to communicate with each other out of love from the points that we have in common instead of dividing over our differences. 37 Jesus replied: “‘Love the Lord your God with all your heart and with all your soul and with all your mind.’ 38 This is the first and greatest commandment. 39 And the second is like it: ‘Love your neighbor as yourself.’"
I hope that you will join me in praying for all of our Christian brothers and sisters; for all of the leaders in the Church, and for those who agree and disagree with you on the issue of GLBT equality. Loving each other from the place of our common ground will open the door to healing in our Body of Believers. Moreover, by answering this challenge from Jesus, living the greatest commandment, we will break the cycle and keep history from once again repeating itself. 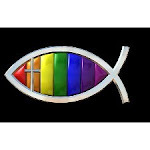 This blog is a part of a Synchroblog regarding the discussion of the cultural debate about homosexuality and Christianity. Many bloggers are writing about this issue today and I encourage you to take some time and read what all the others have to say. Also, I encourage all of my reader's to read Torn: Rescuing the Gospel from the Gays vs. Christians Debate, a book written by Justin Lee, the founder of the Gay Christian Network. I look forward to hearing your feedback in the coming days.